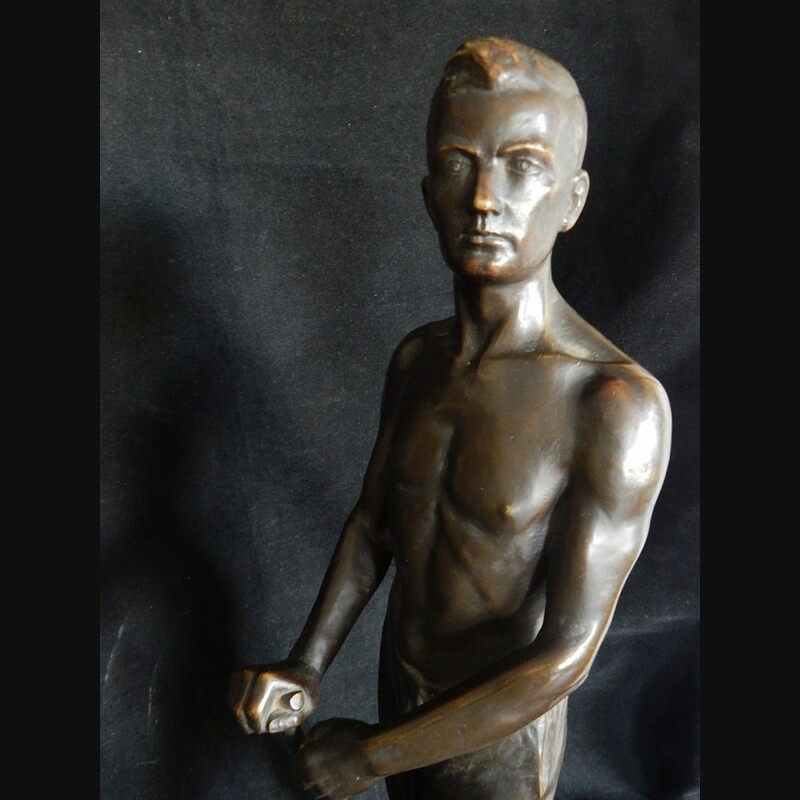 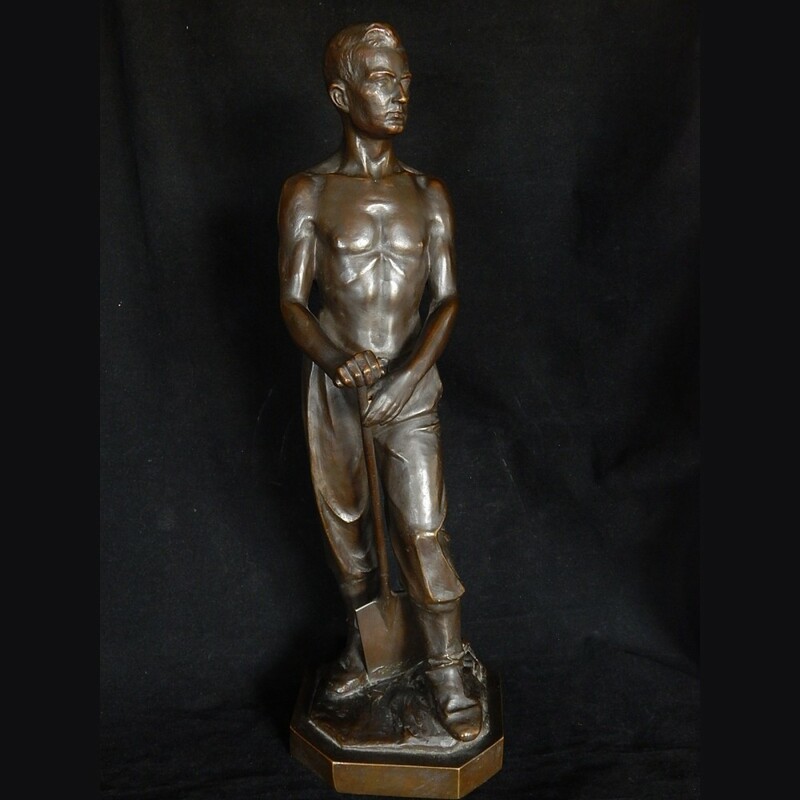 Rare early standing bronze RAD man by Otto Glenz, circa 1935. 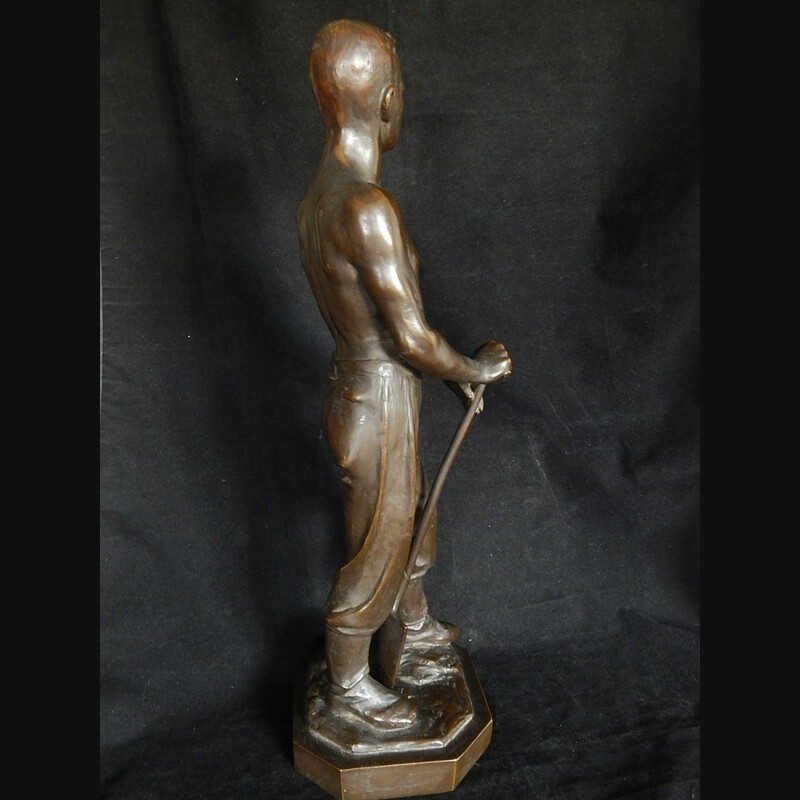 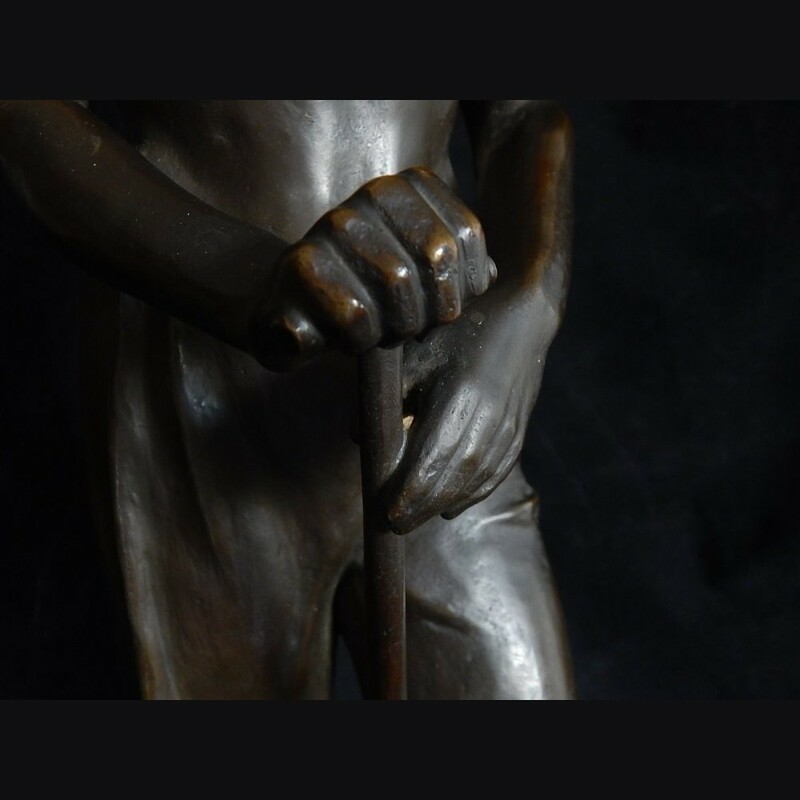 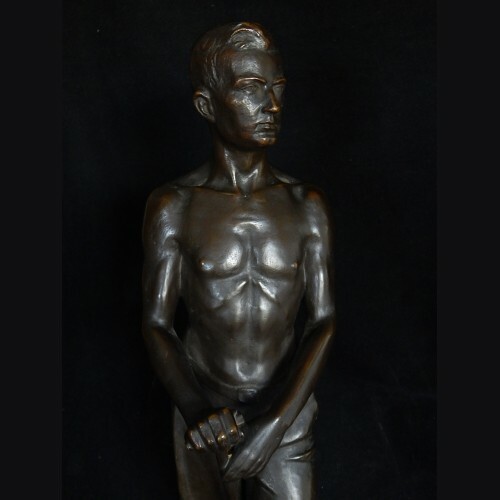 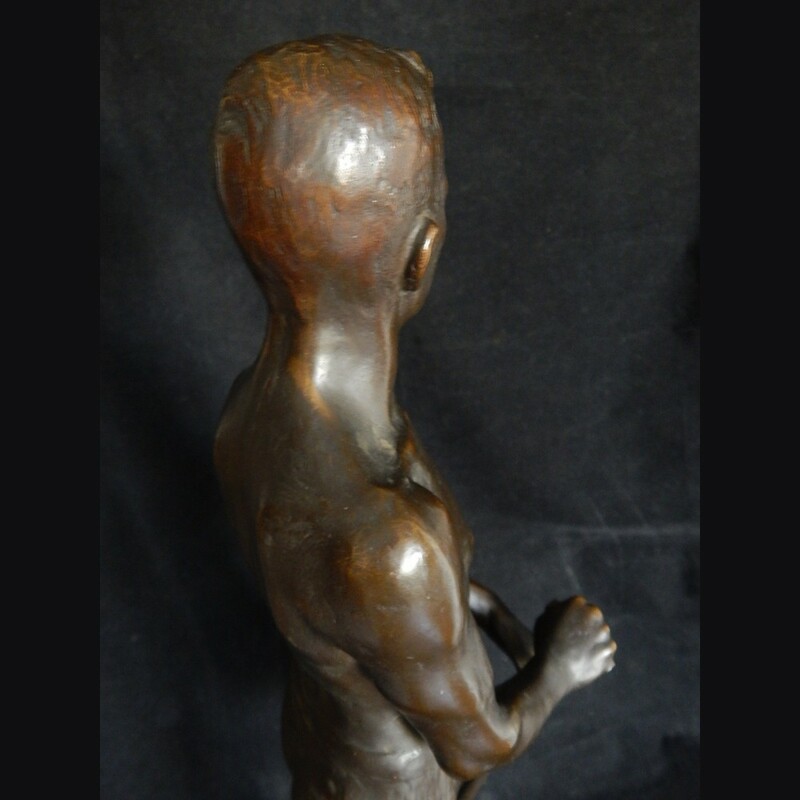 Shirtless Reicharbeitdienst laborer with spade standing 21 1/2 inches tall and having a rich chocolate brown patina. 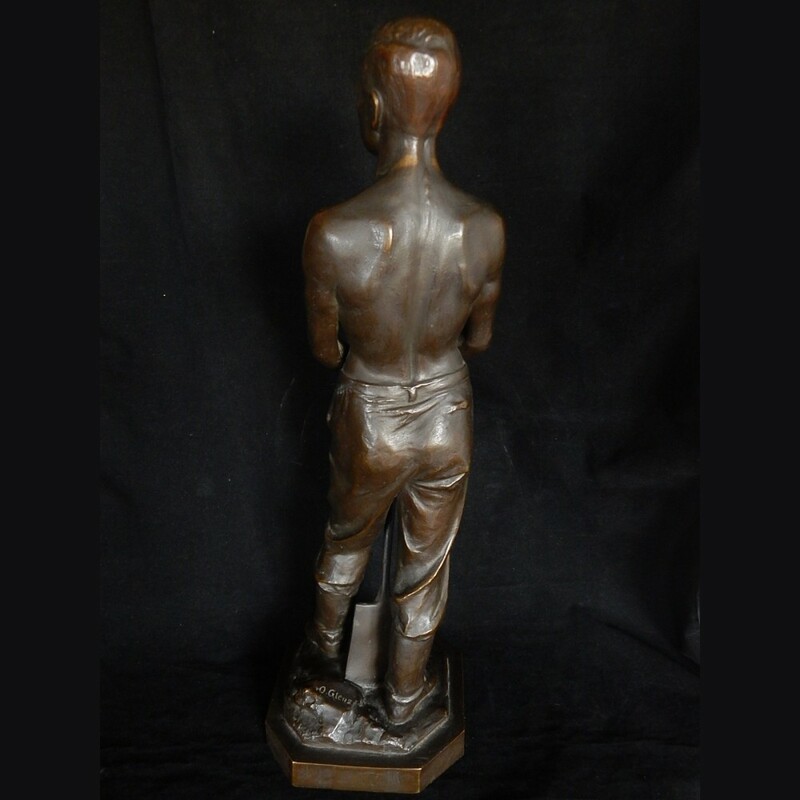 Excellent condition with just the typical minor wear to the high spots. 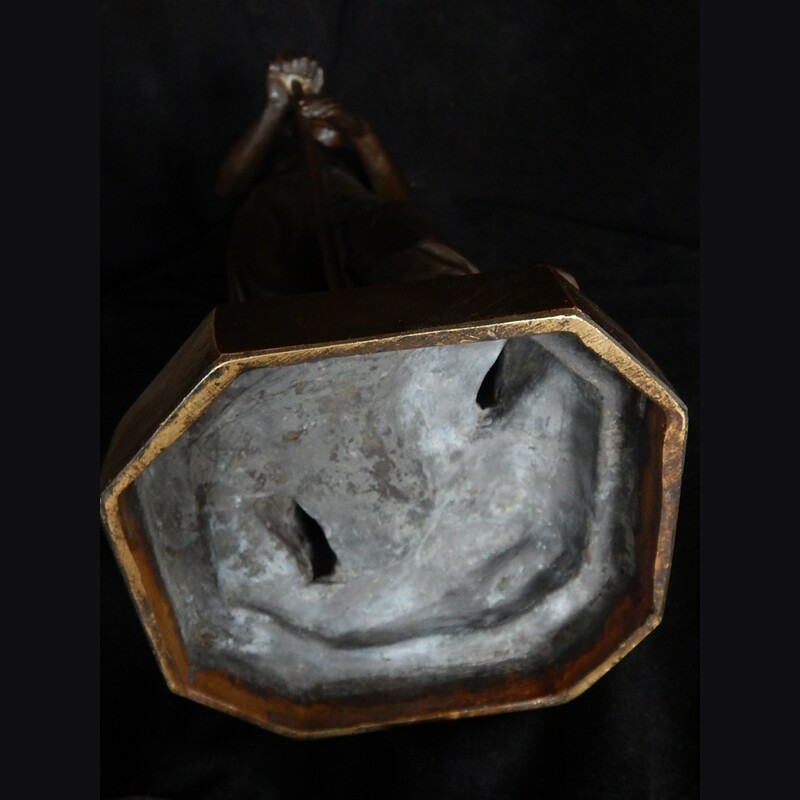 No damage or loss to the metal and signed at the base. 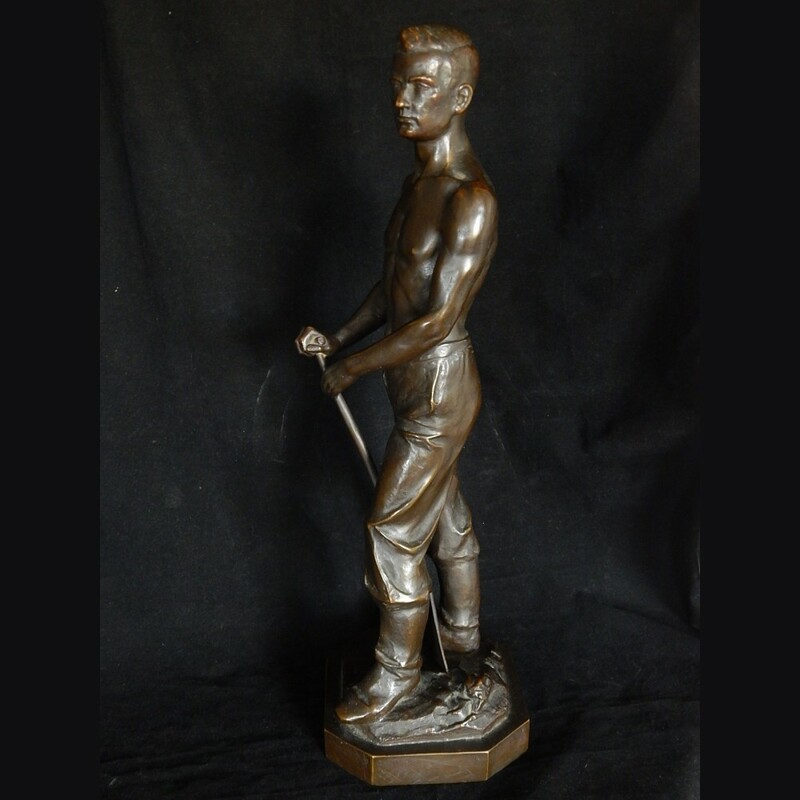 A very rare bronze in top condition.